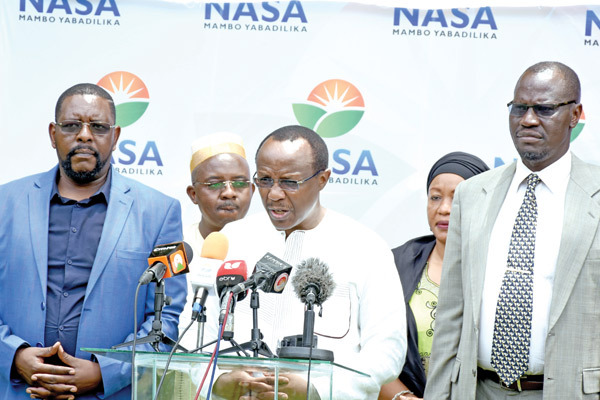 Saturday February 2, 2019-One of former Prime Minister Raila Odinga‘s chief advisor has said he doesn’t believe in God and he only believes in Charles Darwin‘s theory of evolution. David Ndii, who is Raila Odinga’s chief economic advisor, said he believes in the evolution theory rather than the creation story. Ndii made the remark on social media after one of his follower asked why he denounced his Kikuyu tribe and yet he was created by God. But in a fierce rejoinder, Ndii said he doesn’t believe in creation theory and he only believes in Darwin theory. “I was not created by God. I prefer the alternative theory, that I and the great apes share ancestry," Ndii said. The theory of Charles Darwin also known as Darwinism, is a theory of biological evolution that states that all species of organisms arise and develop through the natural selection of small, inherited variations that increase the individual's ability to compete, survive, and reproduce. Darwin said man originated from apes.